Taylor Swift is releasing her latest video exclusively on Spotify. Spotify’s CEO retweeted Swift’s announcement with three flame emojis. Swift’s tweet is a marked change of tune from just four years ago, when she pulled her music from Spotify after writing an editorial in The Wall Street Journal blasting the streaming industry. “Hey guys, I’m at rehearsals for the Reputation stadium tour and I just wanted to let you know there’s a brand new video for Delicate coming out tonight, only on Spotify, so check it out,” she said in a video. Even Spotify CEO Daniel Ek is excited. He retweeted Swift, and added three flame emojis. The rapprochement between the two is notable because Swift has been the music star most closely associated with a mistrust of streaming services like Spotify and Apple Music. Swift’s announcement also happened on a day when Apple launched expanded music video support on Apple Music, including exclusive videos from A Tribe Called Quest and Beck. Apple also launched curated music video playlists as well as the ability to download videos for offline playback. Swift’s tweet is a marked change of tune from just four years ago, when Swift pulled all of her music from Spotify after writing an editorial in The Wall Street Journal blasting the streaming industry. “It’s my opinion that music should not be free, and my prediction is that individual artists and their labels will someday decide what an album’s price point is,” she wrote. Her record “1989” wasn’t on Spotify for years until it finally surfaced on Spotify last summer. 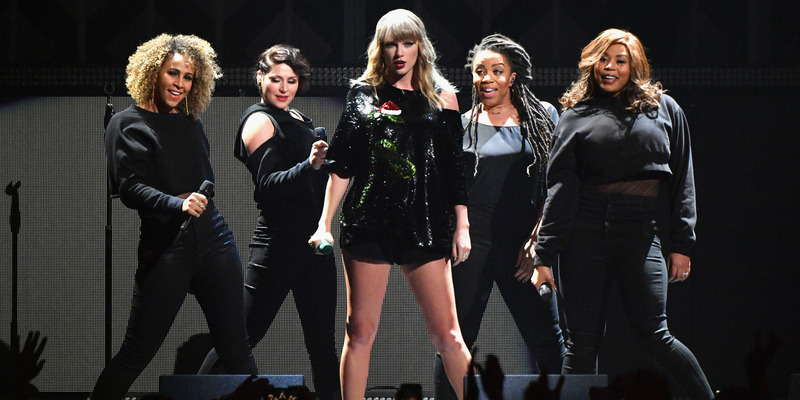 Her most recent album, “Reputation,” was released as a physical CD for three weeks before it eventually became available on streaming services including Spotify and Apple Music. Spotify plans to make privately held shares available to buy and sell on the NYSE next week.